Around 150 climate change protesters have blocked one of the main roads into Edinburgh's city centre. 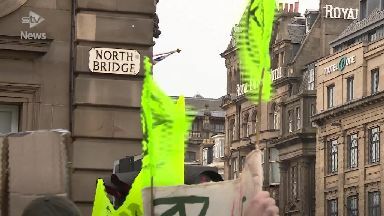 Supporters of Extinction Rebellion Scotland are campaigning on North Bridge as part of the International Rebellion, which has taken place in a number of cities. The demonstration is part of a week of action planned around the world to raise awareness of climate change and encourage governments to act now. Groups of cyclists gathered at 2pm on North Bridge from Fountain Park Canal Basin, John Hope Gateway, Middle Meadow Walk and Duncan Place Leith Links. Campaign: Police were called to the protest. 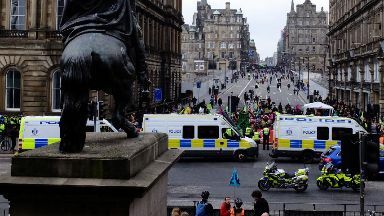 The entire bridge was blocked by the protesters who were joined by dozens of cyclists that gathered in the city centre, causing travel disruption and long tailbacks on either side of the train station. 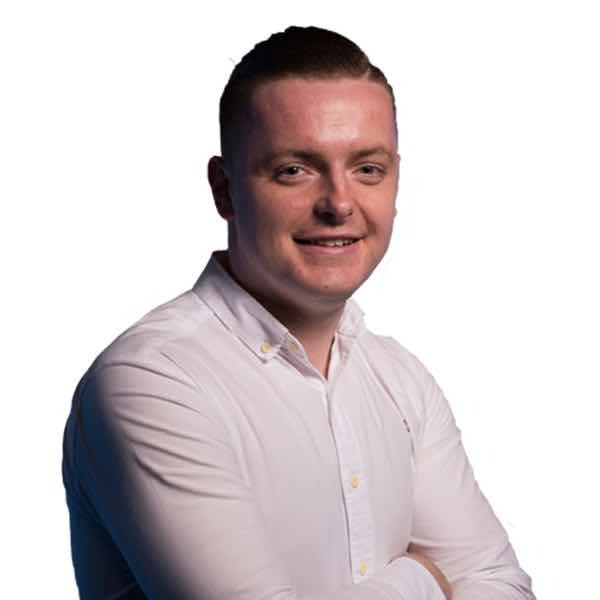 Setting out their demands, the group called for the Scottish Government to "tell the truth about the climate and ecological crisis and reverse any inconsistent policies", commit to reducing net carbon commissions to zero by 2025 and form a citizens' assembly to create policies. Organisers said they intended to occupy the bridge until 9pm with their peaceful demonstration. Bus services Citylink and Lothian Busses have re-routed its services due to the demonstration.